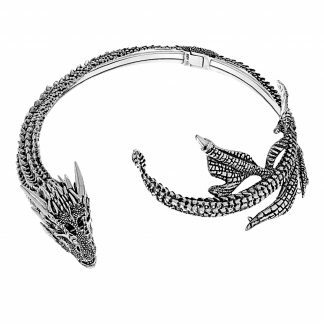 Simple and cooly elegant, this bangle channels the hint of a dragon, and reveals whose side you are on. 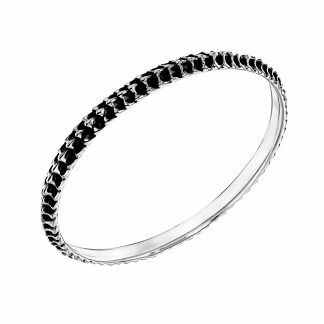 Wear it alone or stack with our Dragonstone Bangle! Available in 3 sizes. Please note these bangles are not hinged. Model is a UK size 8-10 and wears a size Small. She wears an Allegiance Bangle and a Dragonstone Bangle with a Blue Labradorite Egg. 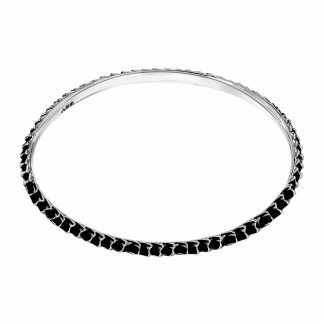 Our Dragonstone and Armour bangles are solid and not hinged therefore we measure for a bangle by taking the smallest measurement round your hand when it is made as narrow as possible by tucking your thumb into your fingers. Simply measuring the wrist will not be sufficient. If you have a bangle that fits tightly over your hand when you do this then it is probably safe to take measurements from the inside and use our chart provided when placing an order. 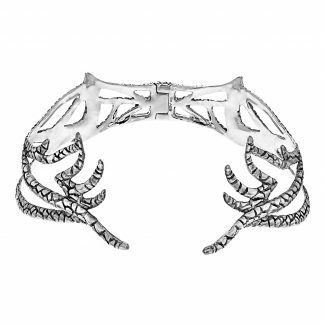 Inspired by Khaleesi’s dragons this unisex Allegiance bangle is hand carved in wax with fine carving tools. 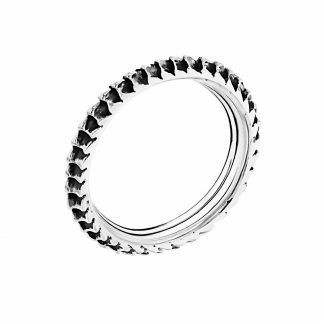 It is then cast into Sterling Silver, the molten Silver is poured at 1050 degrees celsius.